This sensational Napoleon III mirror is unlike any we've ever seen. 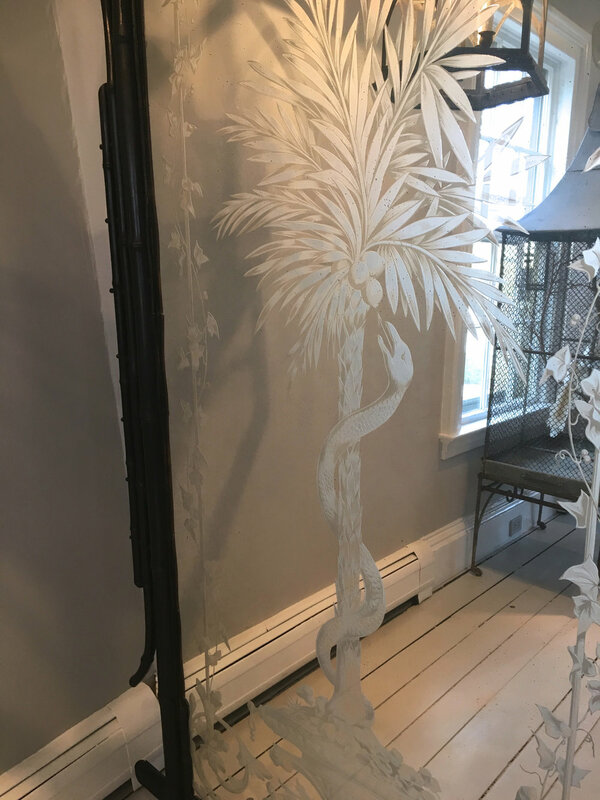 Over 7' tall, and with its original silvered and etched eglomise mirror, it features a central serpent-entwined palm tree that represents the Tree of Life, sprouting from a stylized urn and surrounded with a border of ivy leaves. 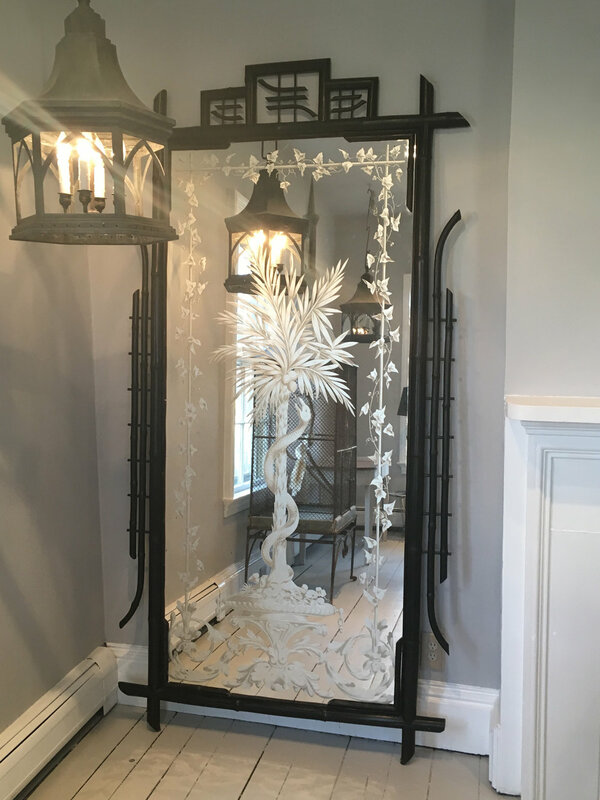 Its "chinoiserie" ebonized bamboo frame reflects the French fascination with all things Eastern and represent the highest style of the period. An intensely beautiful and unique focal point. In very good condition overall. Minor warping to and separation of inner trim piece between mirror and frame has been secured; very small repair to middle left inner trim piece where it had broken. Repair is nearly undetectable. Very minor and tiny age spots to mirrored glass commensurate with age.